"We don’t know what kids want, like, expect or think", says Kid UX Designer Sabine Idler. Product design for kids poses its own challenges. 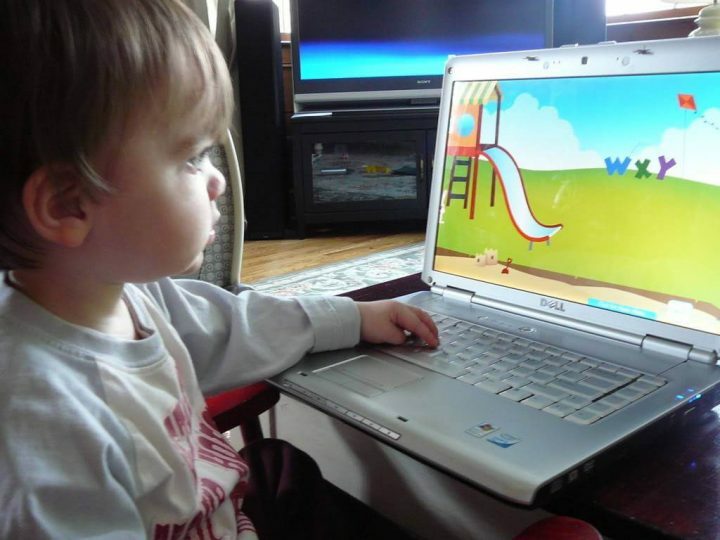 Throughout childhood, kids' physical and cognitive abilities change, and so do their digital preferences. This quick guide will help you through the first steps of the design process. We also attempt to blow away the myth that designing for kids would come easy or that dumbing things down suffices. The essence of designing a successful product for them lies in understanding their differences from and similarities to adults. Children’s minds work differently, but they have their ways to deal with the world around them very well. They differ from adults in many aspects: cognitive ability, categorization, reasoning, emotional control, logic, memory capacity, motor skills. Not to mention their behavior overall. For instance, as a UX researcher, I must prepare for surprising reactions and behaviors when conducting a usability test with kids. Children react less consistently and predictably. They are still starting out on the learning curve to internalize social interactions into acceptable forms of reactions or behavior. Not to mention that they don’t have a fully developed emotional control system. But they are constantly developing new skills and will constantly surprise you with new abilities. On Day 1, they can’t solve a 15-piece puzzle — two months later, they excel at it. Brain plasticity makes them so lively. They learn faster than adults and outgrow activities in little time. We at our UX company often get asked questions like “How to design a website for kids”, or “What does the ideal children’s app look like?”. The short answer: children are not adults in a smaller edition. Here’s how they differ, and what that means from a design perspective. How do kids differ from adults? Good news: Some of the same rules for adults also apply. In terms of consistency and affordance, kids rather resemble adults. However, kids differ from adults in many ways, and they greatly affect designing for them. Keep these top seven facts in mind. Disclaimer: Designing things for kids is incredible responsibility. It is of the utmost importance that digital products help them acquire new skills and knowledge, and motivate them to discover more about the world. Creators of these products should always bear in mind the principles of ethical design. We shouldn’t forget that kids are more trusting and less able to distinguish reality from the digital world, and they are more easily manipulated. The design community must view the below facts with an open and neutral mindset, and never cease to forget that we should always serve the needs and interest of the next generation. Target a specific age range with your product, or consider adding different content, difficulty level or complexity for different age groups. Just like in the App store, you can add an age filter. A two-year-old differs in cognitive ability a lot from a three-year-old. The same task or entertainment won’t necessarily fit older children. They find different things enjoyable or challenging. 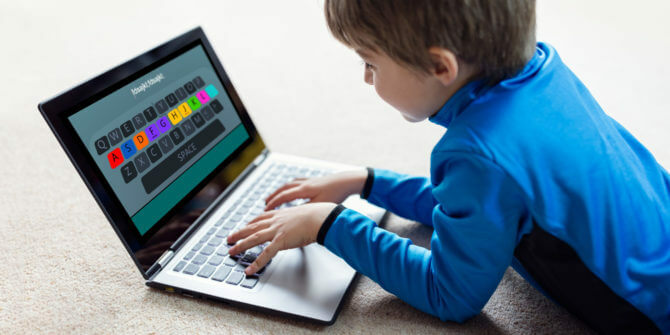 While adult users can to wait for things to happen, children need instant reactions and preferably in a game form from the first second of the interaction with the interface. This applies especially for smaller kids. An icon that an adult might find obvious can totally mystify a four-year-old. Hamburger icon? To them, it might mean that juicy hamburgers await. Children can’t think abstractly until age nine. It may sound controversial to use simple shapes (e.g. circle, triangle) but they prove the best choice. Kids find them easy to recognize and remember and less misleading. All in all, the more realistic the picture looks, the stronger it excites the child’s imagination. Kids’ knowledge and understanding of the world has gaps. They bridge those gaps through fantasy and irrational explanations. Thinking in terms of a whole story helps children unfold the plot and assimilate to behavior patterns. Does this mean that we can’t add elements from beyond their scope of thinking? I cannot give a balanced opinion to this rather controversial question. They get overexcited or simply reject things, and express opinions honestly until age three or four. Kids don’t regulate their emotional responses well, and they even have problems naming and recognizing their inner states of mind. From age five and on, they understand causality pretty well and can name reasons behind things. Remember that the current experience affects the child much more, and we need to approach UX issues even more responsibly. We have to encourage them to try again if something does not work. Let them learn and don’t expect them to achieve something not age-appropriate. If it exceeds their abilities, they will leave it immediately. When I design for kids, I find using the growth mindset for building feedback a great starting point. When working with kids, keep in mind that they have greater brain plasticity than adults. They learn and develop quicker, although huge individual differences can arise. Also, they require new challenges sooner. A two-year-old finds it harder to sit still while listening to a long story. But not as hard as a sales representative finds it to sit for a two-hour training session. To make a product resonate with kids, first empathize with them. They perceive and comprehend the world differently. To create a successful product for them, understand the main principles and characteristics of that particular age group. Babies spend their first three months mostly synchronizing, coordinating and connecting with their caregiver. Their hearing and tasting have completely developed by birth but their vision needs almost one year to reach a more adult-like level. Also, not only the sharpness of their vision but how they fixate and examine object changes over the first few months. To arouse their interest, take care with intense sensations because until about their sixth month, they react more to sudden noises and lights. This, the Moro reflex guarantees a frightened crying baby. Babies prefer faces compared to random colors or objects. They can already learn and reflect at some level to adults’ facial gestures like smiles and knit brows. They show a lot of primer reflexes and enjoy repeating enjoyable actions themselves. 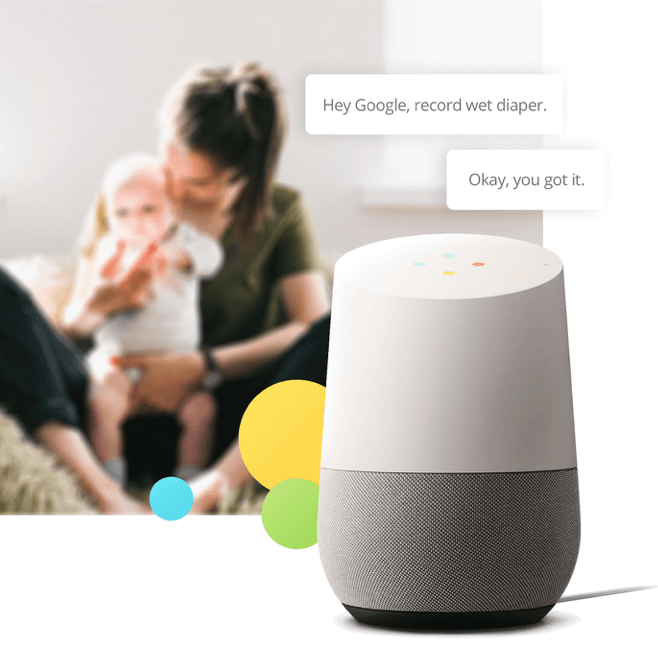 Physical and digital products for newborn babies mostly target their parents first who are going through an amazing, bewildering, challenging, infuriating, exhausting, amusing and fulfilling period of their life. Which comes full of worries. Parents remain an important part of creating products for kids in the long run too, especially because small kids depend on the adults around them. Aside from these universal emotions, consider the cultural differences amongst households with babies. For instance, American parents more typically let their babies sleep in a different room than Italians who have babies more often sleep with their parents in the same bed or room. At this age, babies start interacting with surroundings. They slowly realize they can affect the world around them by grabbing, moving, pulling and pushing things. Children this age show the first rudimentary form of problem-solving. They begin to set up goals and try to achieve them through harmonized actions. It also takes almost a year for babies to understand that something that disappears from view still exists. Until then, it means “out of sight, out of mind”. Toddlers start talking. They also start experimenting. They learn through trial and error, so they eagerly try new things methodically. In fact, experimentation teaches children more efficiently than any other type of learning method. 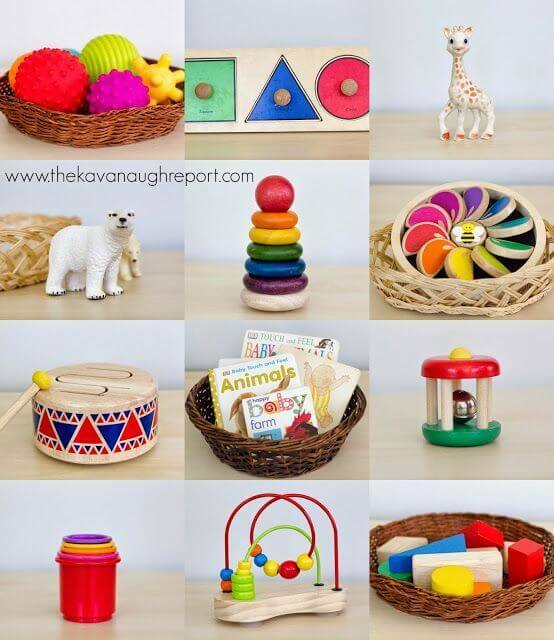 At this age, we can design toys and games for them that require thinking about solutions. Gross and fine motor skills are developing but picking up small object or execute precise movements still poses challenges to them. Interfaces still have to provide a bigger tapping area as well as large shapes and pictures. Or, they can support their fine motor skill development. Even up to ages six to eight, children have a relatively limited amount of patience. They require instant visuals and feedback. Small kids often feel more comfortable interacting with adults, not only because of their development needs but adults act more consistently than younger kids. Kids love repetition and consistency. They learn the rules of the physical world (gravity, speed, acceleration etc) from two to four. Maybe your kid repeatedly throws things down and wonders if the result remains the same. They do that most importantly to learn so they can memorize this rule. As they start enjoying bedtime stories, talk with them about their everyday life. They cannot follow long and complicated plots. 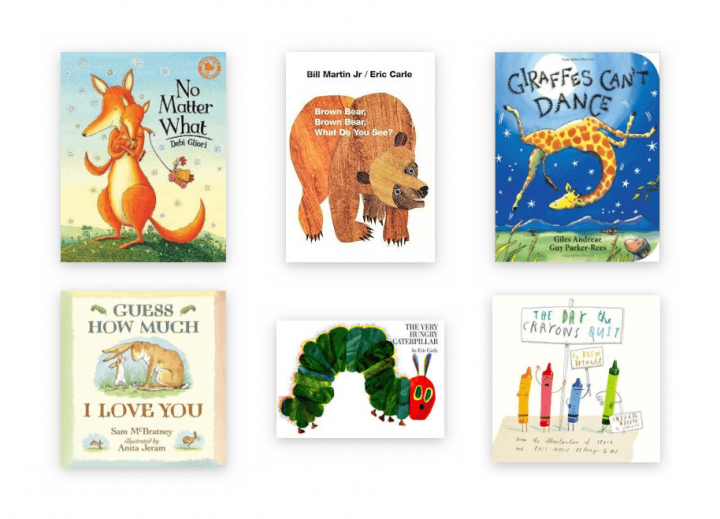 We recommend these books as inspiration for “storytelling”, for this age. Kids this age typically trust much more than adults. Around seven to eleven months, they start to become suspicious and to keep their distance from new people. This period disappears or fluctuates over time. It varies greatly between individuals, but kids think naively in many ways as they have no learned patterns to not trust blindly. 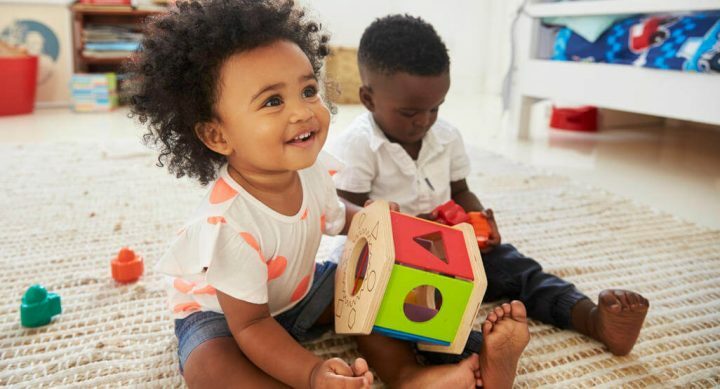 After surviving the terrible twos, you will begin experiencing the most adorable age in small kids, a time for their imagination to run wild. Around year three, they try to become good boys and girls and figure out what you want to hear. Pretend play characterizes the preschool years. Three-to-five-year-olds can become anyone or anything they want. 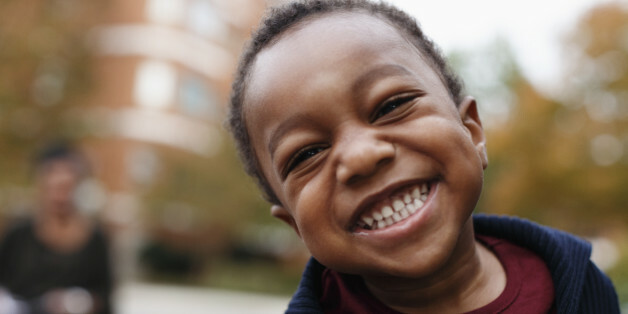 At three to four years, they can speak clearly with a vocabulary of 250-500 words. They love stories. 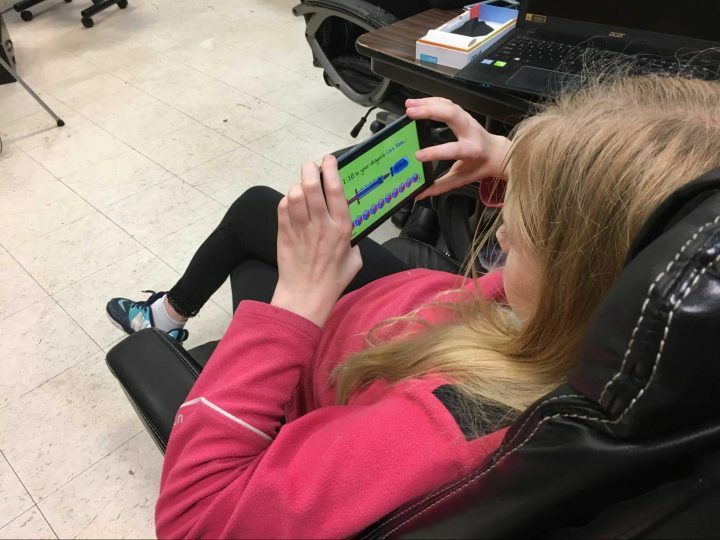 They excel in using devices like laptops, iPads or mom’s phone, they know how to scroll, swipe and navigate — providing parents with some not-so-pleasant moments. They need large pictures, instant visual and audio feedback. Understand the total lack of user patience. Keep in mind the possibility of multiple clicks at the same time and the inability to distinguish different types of content, e.g. the ad banner from the part of the game. Any navigation hierarchy proves almost impossible because children can focus on only one object at a time. Consistency on your app holds the key. If something happens a certain way, children expect it to do so again when they perform the action the next time. If it stops, they feel betrayed and lose confidence. 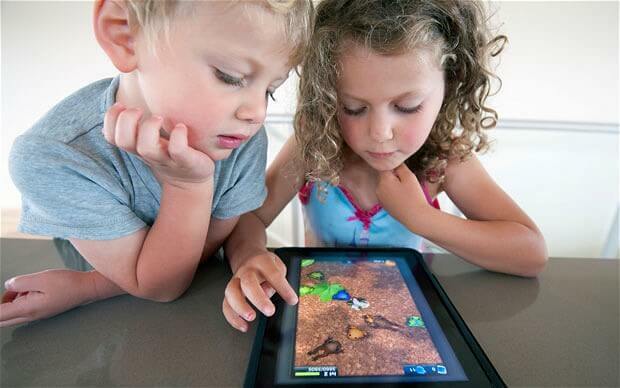 When targeting smaller children, add features like parental controls or child locks. In-app purchasing requires a hidden or protected payment options. They also look forward to a bit of a challenge. Think about it. An adult using a banking or email app just wants to accomplish the task as quickly and easily as possible. A child playing a game enjoys challenges and conflicts along the way because it makes the accomplishment more significant in the end. A popular iPad app by the makers at Toca Boca, Toca House challenges children to vacuum a dirty rug. Of course, a single swipe doesn’t clean the rug because that doesn’t pose enough difficulty. Micro-conflicts — like vacuuming a dirty rug — help children resolve their own inner conflicts. Although, at this age, children typically know how to read, don’t rely on copy. They can but they don’t like to. They ignore written instructions and will read explanations only if nothing else helps. Try to limit writing and avoid content heavy interfaces. They still have a very limited vocabulary. Plain, simple language will do. Avoid not only complicated words but unfamiliar foreign ones and slang as well. Use those a child would. When designing feedback loops in apps for kids, this becomes more elementary. Adults expect feedback when they interact with an interface. For example, tapping on the Facebook like button fills in its icon. This feedback loop alerts them that an action has taken place. Kids want feedback whenever they do something. They tend to act first to see the consequences themselves. For this reason, most apps for kids generate some type of response for every action. If you can’t or don’t want to avoid text, consider wording it like an adult would: “Do you need help?” Adults help kids through a unique interaction manner from a very early age, a phenomenon called the development zone. This zone forms a gap between what the child already can do by themselves and what they can achieve by interacting with a more competent individual, ie an adult. Many other articles call kids at this age touchscreen veterans. They know how to do a lot of stuff very well. Some can already code. 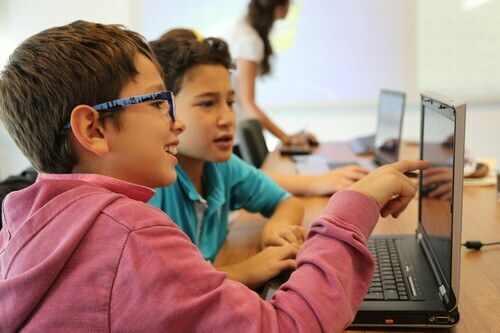 To develop early coding skills, buy Arduino or a Lego robot, fun ways to learn the basic logic of coding. Friendship becomes the center of their world. They intensively acquire social roles and expectations. They seek confidence in their problem-solving competency and ability. When creating applications and UX, kids require special attention to personal data law. What to keep in mind when you design for kids? Instant feedback after every action confirms their effect. Don’t expect patience from them. Don’t rely on copy if possible. Small kids take everything literally. Trust doesn’t only mean giving consistent feedback but also that their parents can rely on our product for their kids’ safety. Use age groups, challenge them age-appropriately. Design for kids is still paid for by parents — always take them into consideration, too. This article ends here — but don’t go yet! I hope that you found this article useful. If you have anything to add, please leave a comment below! To read more on the subject, we suggest you take a look at NNG’s new piece on the topic. Want to learn more about our UX design process? Download our brand new, free e-book now. For additional reading, check out our Product Design book by our CEO, David Pasztor. We ship worldwide! Are you a designer working on your UX portfolio? We have good news for you. We built uxfol.io, a portfolio design tool that helps you tell the whole story behind your design. It’s awesome, check it out! UX researcher, insight hunter, social thinker, scattered energizer bunny, dog person, bookworm. It makes me worried that in such a rich essay on designing digital interfaces for young children there is no word on ethical, psychological and health concerns. 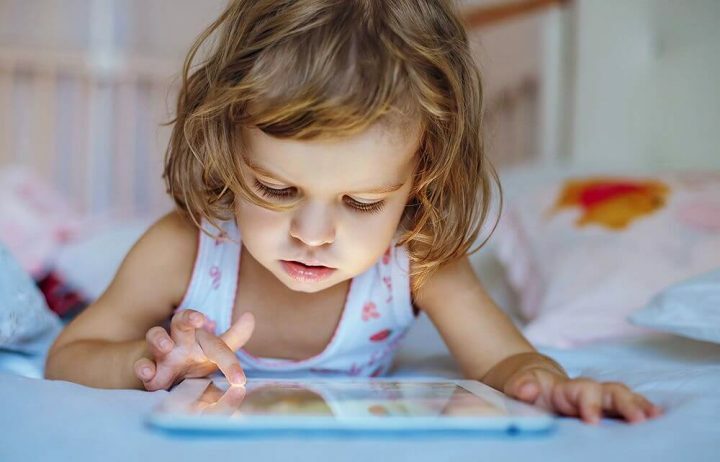 There are many alarming voices and studies which are telling us that we shouldn’t let young children behind the screen at all! Agree with Szabolcs Emich. The work of Catherine L’Écuyer (@CatherineLEcuye) on the psychological and health concerns for children is highly recommendable read. Thanks for the comments, and pointing out the importance of these issues. We wholeheartedly agree with your concerns. 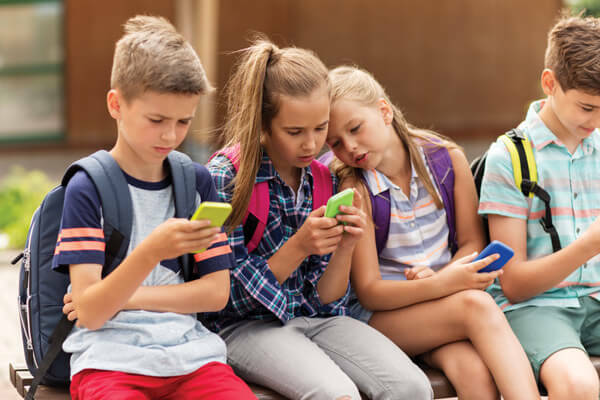 We also see that parents not always tend to pay the adequate amount of attention to the nature and amount of device usage of their children. This article is one UX researcher’s account of her experience and fascination with children and the differences between adult and children minds. 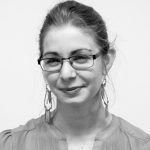 Dorka is actually studying psychology, and, during discussions here in the office, she loves to express strong opinions about alarming trends and ethical concerns in today’s technology world. This, however, is simply a short article about one specific topic on a UX blog. Our blog never aimed to cover every side of every topic in the world. People working at UX studio write these articles, and they always write about stuff they find interesting or exciting. We appreciate your comments, and feel free to share any other resources where those that are interested can educate themselves further about the topic. I appreciate your response but let’s please agree this is not a short article – there are over 2,300 words in it. As a research piece is very good, sure. However, what the design community does with findings such as these is what we were referring to. Are we going to exploit this knowledge to sell stuff to kids that haven’t yet developed the needed understanding of the world? If yes, do we think that is right? Of course, similar findings have been exploited by other industries. Walk through a supermarket aisle and check the packing for sugary cereals. The question is: as a community, do we want to walk the same path? Hello again, Diego, thanks for these great resources! As you said, exploiting scientific knowledge and using it for nothing as but profit is a terrible phenomenon in our world today. Scientific knowledge, for example about children can use for good and bad, it is not evil by definition. We deeply believe in the principles of ethical design, and we aim to practice what we preaching while designing every single product we work on.